I met Calathea lutea (Aubl.) Meyer ex Koernicke for the first time today while on a visit to the Living Rainforest. This impressive member of the Marantaceae is 2-3m high with silver backed leaves. 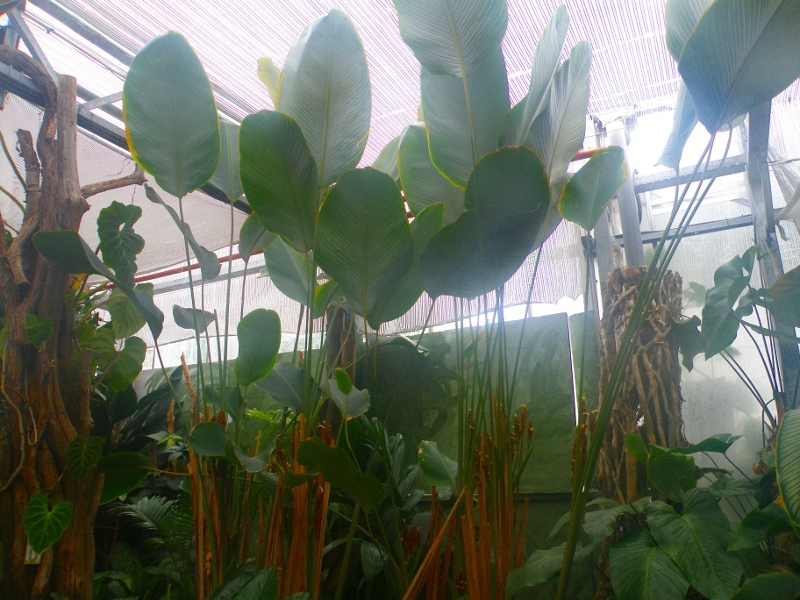 These large leaves are used for wrapping blocks of Guava jelly (bocadillo) and wrapping ‘Tamales’. The ‘Dictionary of the English/Creole of Trinidad and Tobago: On Historical Principles’ by Lise Winer (2009) includes an account of the species: ‘Cachibou leaves have a wax coating, are very tough and durable when dry, and are used to line, and so make waterproof, baskets; often known as Arima baskets, used for carrying clothes. &c. (Williams & Williams 1949: 99-100). “By the river side we saw cachibou or duckna… [the] leaves are three feet long by one and a hallf feet broad and have a waxy coating on their underside. For this reason they are used to make a waterproof lining for baskets. (Farrell 1984)” The leaves of the cachibou [yield] a commercial wax that imparts its waterproofing quality to the finished products. (Morean 1991:12)’. The leaves of Calathea lutea can be harvested after one year. The wax is removed by the mechanical beating of the dried leaves and the resulting powder is then melted in hot water before it is skimmed off and solidified. The potential of the wax was suggested by Hodge in 1955 [Some New or Noteworthy Industrial Raw Materials of Plant Origin (Hodge, W.H., 1955. Economic Botany, 9(2): 99-107]. The plant is sometimes known as ‘Bijao’ but this name is also used for Heliconia bihai and Calathea allouia – how confusing! The most complete entry I can find for the species is in the blog ‘A Neotropical Savannah‘ linked here. This spectacular plant is now on my wants list for the greenhouse! This entry was posted in Annual Fund, Crops, Neotropics, Species. Bookmark the permalink. Thanks Ana – I’ve corrected the blog. I think I can source the plant from a collection in the U.K., possibly even the Living Rainforest as they seem to have a lot of it!